The Finest In Island Living!! 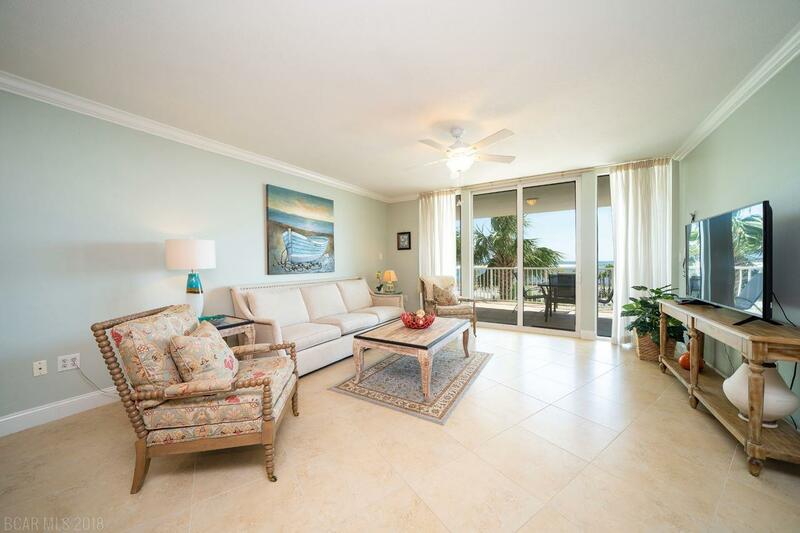 Enjoy the Benefits of the Bay While Soaking in the Views of the Gulf & Have the Best of Both Worlds!! Very Well Maintained and Spacious 2 Bedroom, plus Bunk Alcove, 2.5 Bath Condo Located at THE PASS! 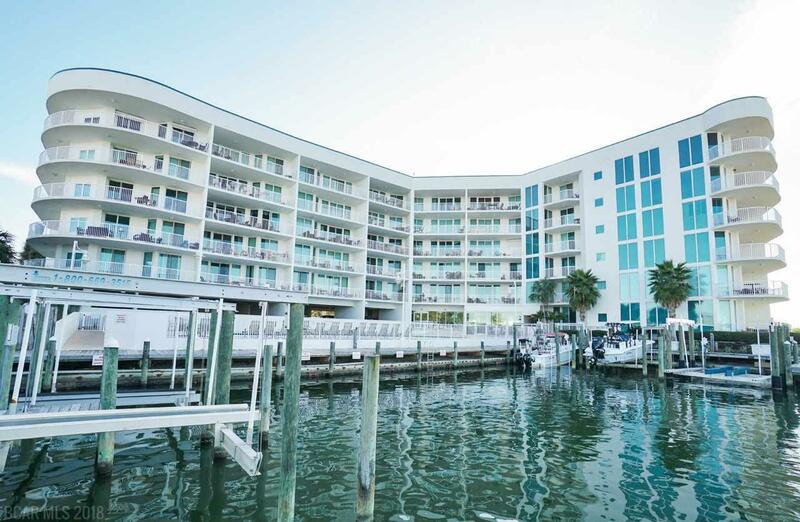 This High End Complex is Situated in One of the Finest Spots Orange Beach Has to Offer. Positioned Directly on Famous Cotton Bayou, You'll Be Spending Your Days Taking in Breathtaking Views of the The Bay, Watching Boaters Relax on Bird Island, and Seeing Gorgeous Sunsets as Charter Fishing Boats Head in Through The Pass with Their Catches From The Gulf! 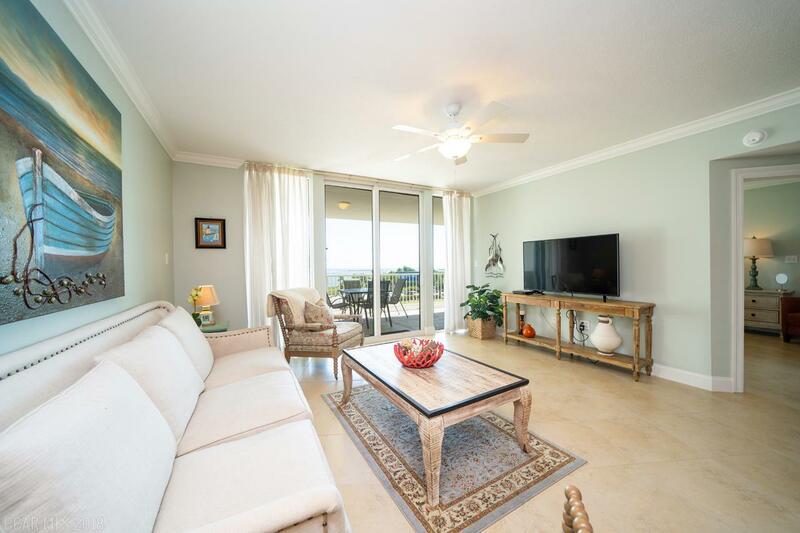 This Unit Boasts Magnificent, Large Balcony and Easy Upkeep Tile Throughout. Find Stainless Steel Appliance Package and Granite Countertops in the Large, Open Kitchen with Wet Bar Nearby. Enjoy a Comfortable Stay with Split Bedroom Floor Plan PLUS Additional BunkBed Alcove for Sleeping Extra Guests, Private Baths for Both Bedrooms, Plus a Half Bath. Large Master that Walks Out to the Balcony, Gorgeous Master Bath with Double Vanity, Separate Walk In Shower & Jetted Tub! 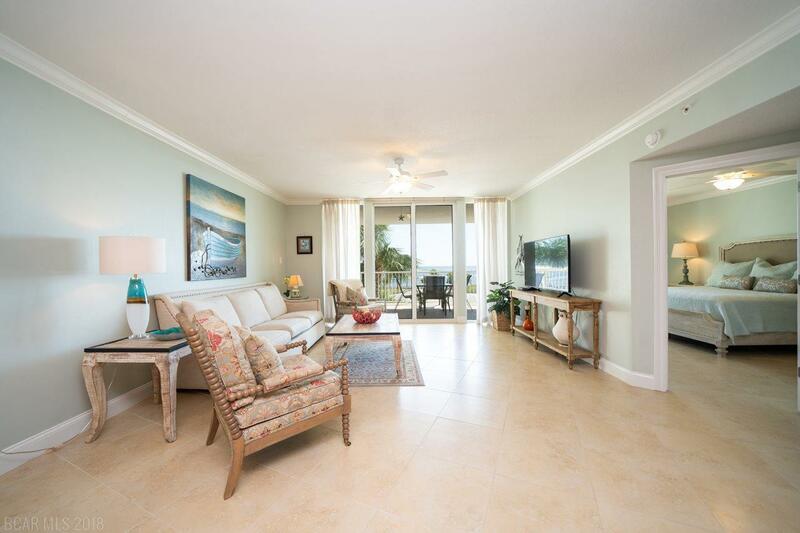 Complex Amenities Include Both Indoor & Outdoor Pools, Fitness Center, Fishing Pier with Tiki Hut, Private Beach for Soaking in the Sun or Launching Your Paddle Board for a Ride to the Island, & First Come First Serve Boat Slips! Quiet Island Living in the Heart of Orange Beach with Shopping and Restaurants All Within Walking Distance! Great for Full Time Living or Fantastic Rental Unit! Motivated Seller Who Has Priced To SELL! Highly Recommended You Don't Wait On This ONE!! !